At Soaring Dance Theatre, we teach a variety of classes. While dancing is in our name and is one of our main focuses, we also teach drama classes to kids, empowering anyone who wants to go into theatre and improve their acting skills! As a parent, you might be wondering what benefits are in store should you enroll your child in theatre classes. You’ll be pleased to know that there are actually a variety of benefits that can come from drama classes. While people are naturally inclined to being either introverted or extroverted, that’s not to say that you can’t have some kind of effect on their long-term personality. Children, now more than ever, are constantly bombarded by the presence of digital screens, and have more opportunities than any other generation to detach. This results in a lot of reserved children, and it can even lead to social isolation, in a way that prevents them from learning good social skills. Luckily, theatre is a natural panacea for this — it encourages students to break out of their shell. This is a natural and necessary step for performing, which is why it’s great to introduce it to children in their younger years, before they’ve built up habits that end up isolating them. Being confident, assertive, and outgoing is a skill that can aid children immensely later in life. It will allow them to connect more naturally with people, to not be afraid to express themselves, and it’s invaluable to anybody who wants to pursue leadership roles in their lives. Sign up your children for drama classes today so they can break out of their shell early in their lives and be used to it! This is something that’s true for extracurricular activities in general — by signing up for theatre, dance, or any other kind of class, you’re helping your kid to discover their passions. Kids don’t just pop out of the womb knowing they want to be major league baseball stars, astronauts, or actors. They discover their hobbies, passions, and interests as they are exposed to new things, and as a parent, you have an opportunity to expose them to all kinds of activities which will help them to know what they like, and what they don’t like. It’s entirely possible that you could sign your child up for drama classes, and they end up loathing it with every fiber of their being. Even if this happens, you can still look at it as a win — it’s something that has helped both you and your child to know where their interests are. And, of course, there are countless children who get into drama classes, to find that they absolutely love acting, and it’s something that sticks with many students for life. But you’ll never know unless you expose them to it, so consider bringing your kids to our Monroe theatre classes today! We’ve always maintained the importance of children making friends outside of school. While it’s great and encouraged to have friends that they see every day in classes, it’s also healthy and productive for them to have friends in extracurricular activities. This naturally forms a strong bond, because they’re able to connect over something they have a mutual love over. There are few hobbies or activities that offer a stronger sense of community than theatre. Drama encourages kids to form lasting relationships with another, as plays and performances can take weeks or months of rehearsing. All the time spent “behind the scenes” provides endless amounts of bonding time for our drama students, and we love seeing the lasting friendships that are formed. By having a community outside of school that your student feels comfortable in, it’s a natural insulator against the fallout that can often happen with relationships in school. Children are fickle, and sometimes turn on each other for no reason, and no matter how irrational it is, friendships can just evaporate out of thin air when it comes to children and teenager. It’s great to have other friends to fall back on when this happens, which is another reason to consider signing up your child for drama classes. Want to sign up your child for theatre today? Stop by Soaring Dance Studio in Monroe to get started! 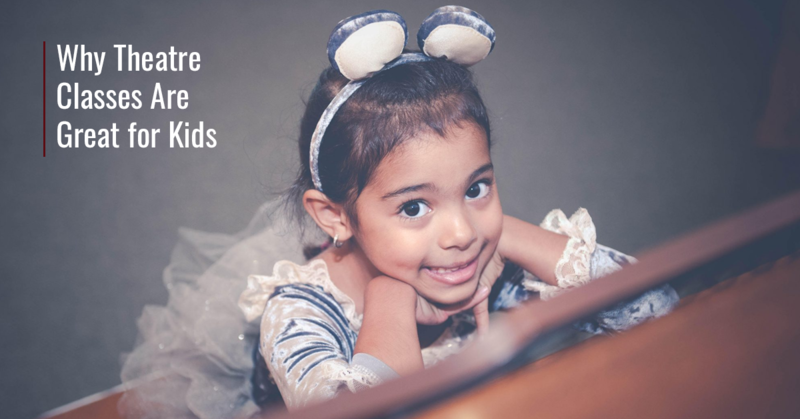 You’ll love seeing your child learn vital skills in our drama classes, and seeing them become more comfortable with themselves. And the best part is that, by signing them up, you could be helping them to gain valuable insight on what’s important to them. Got any questions? Contact us today!